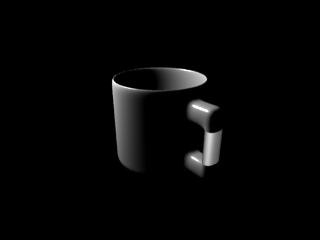 When I render the Mug example in FreeBSD using Aqsis 1-6.0_2, the handle doesn't render the same as the rest of the mug. I am not sure which part of the mug rendered correctly: the handle or the mug. 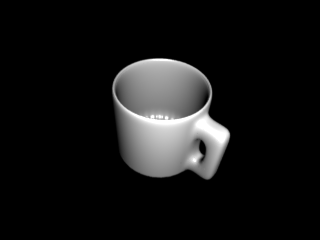 Because the handle is closer to the render color/shading I get in Windows 7, I almost think the handle rendered correctly and the rest of the mug did not.